What are the top trends at CES 2018? 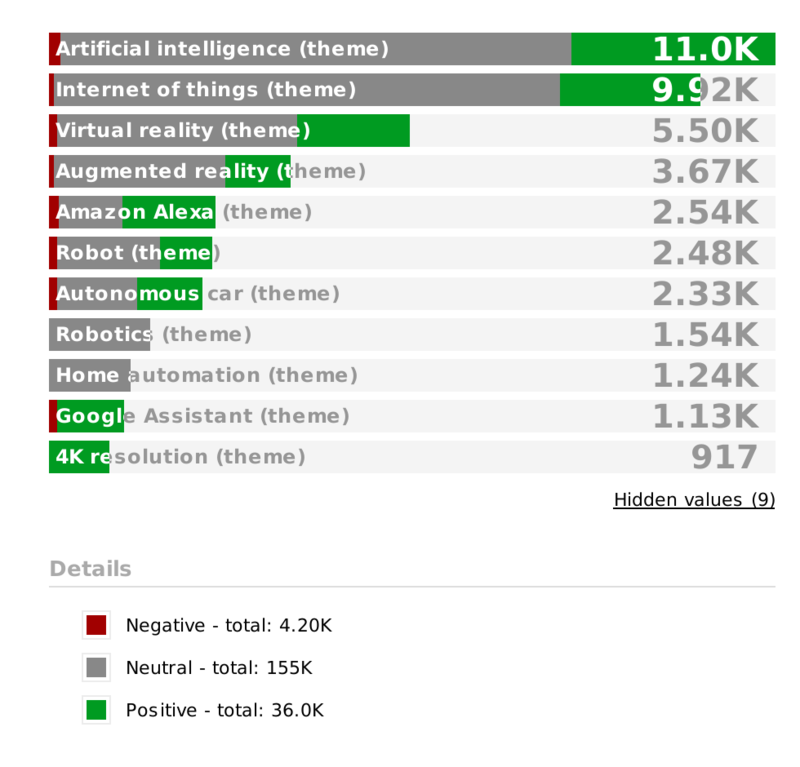 Artificial Intelligence and Internet of Things were the top trends of CES 2018 as identified using Netvibes Automatic Theme Detection. 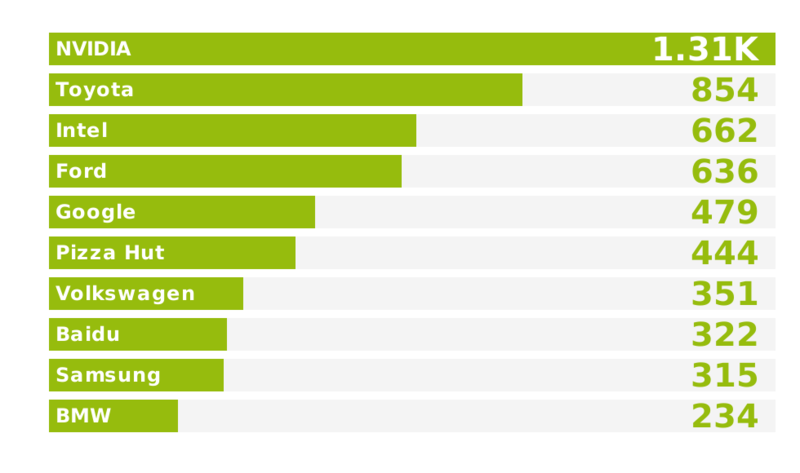 Using sentiment analysis, we see that positive mentions (green) are higher for AI than for IoT. Further down we can see virtual and augmented reality, robotics and the top two smart assistants - Amazon Alexa and Google Assistant. 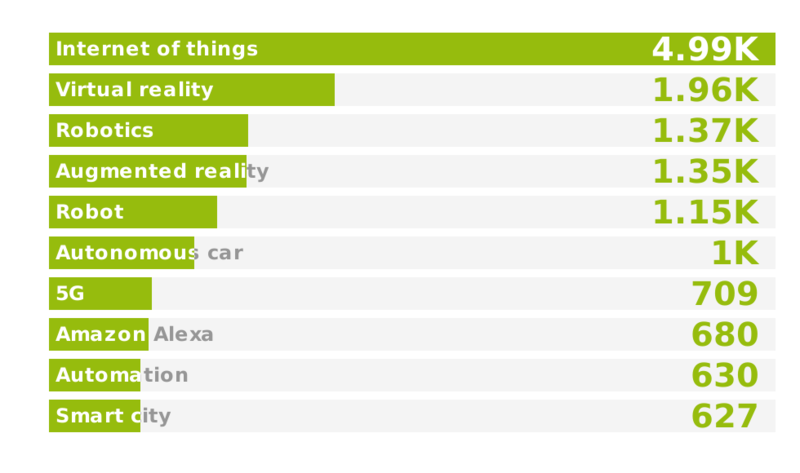 Out of all these topics, the smart assistants have the highest positive rating. Machine Learning is a transformative technology that goes hand in hand with Artificial Intelligence. Another buzzword is 5G – the next generation of wireless data from the telecommunication industry. The speed that 5G is to provide is crucial for the functionality of AI. 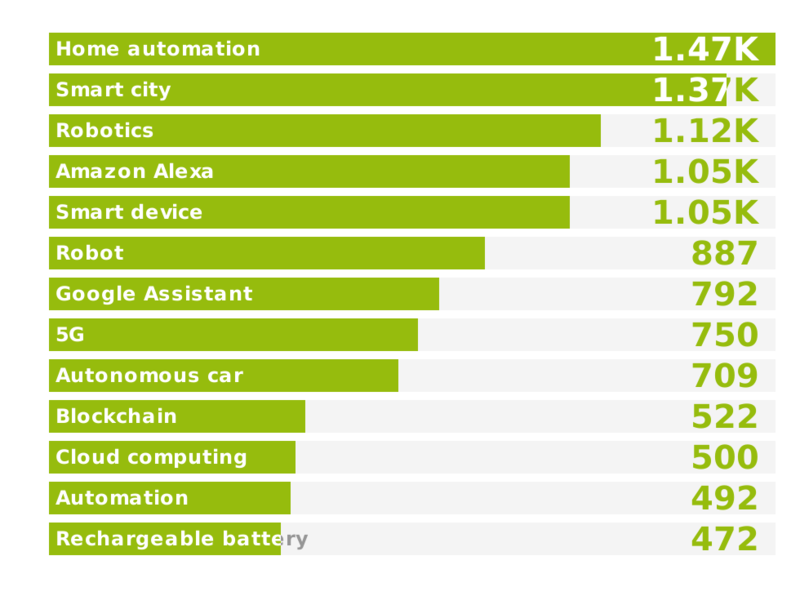 Household Automation is a top theme with IoT. CES has catered to innovations that aim to revolutionize everyday chores. Smart City is the dream that IoT offers. NVIDIA was the organization most mentioned with Self Driving Cars. NVIDIA announced its partnerships with Uber, VW and Baidu. The technology company is even ahead of Intel whose brainchild was the concept of self-driving cars. Automotive industry giants Toyota and Ford made headlines. Toyota announced their mobility ecosystem idea, namely the e-Palette Alliance. They unveiled the e-Palette is an electric bus, a step closer to fulfilling transportation needs, technology, software and sensors. Pizza Hut, member of the e-Palette Alliance, recently introduced a delivery algorithm to improve accuracy and reliability. Ford announced their partnership with Postmates, an on-demand delivery service provider. Ford is ahead of the curve as they are soon to begin testing self-driving cars in an undisclosed city. 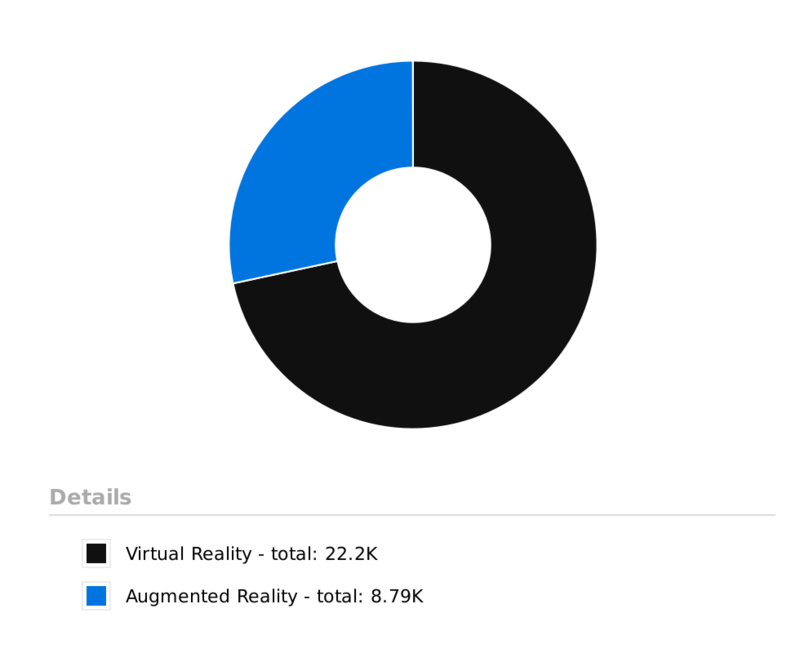 Augmented reality continues to gain on virtual reality as a percentage of mentions, going from 18% to 34% of mentions over the past two years. 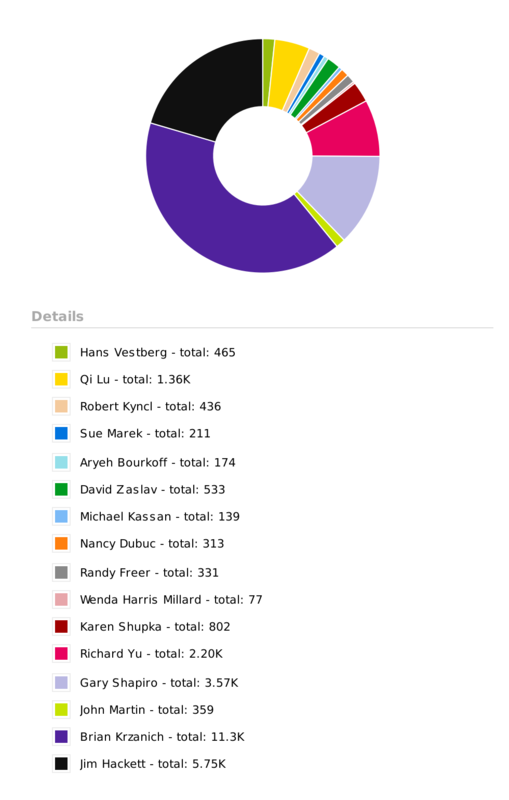 Netvibes Theme Detection identified the top influencers at CES 2018. Ajit Pai, FCC chairman, gathered a majority of negative mentions due to the fact that he repealed net neutrality and also his no-show at the event. The top 5 speakers were Brian Krzanich of Intel, Jim Hackett of Ford, Gary Shapiro of CES, Richard Yu from Huawei and Baidu’s Qi Lu. 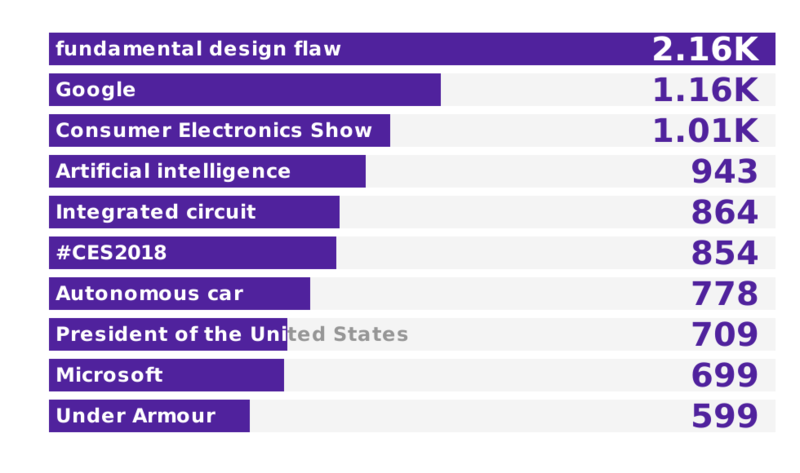 Focusing on Brian Krzanich’s keynote address, the top theme associated was ‘Fundamental Design Flaw’. A major portion of the address was dedicated towards the Spectre and Meltdown security flaws and promising solution of the yet to be released patch. 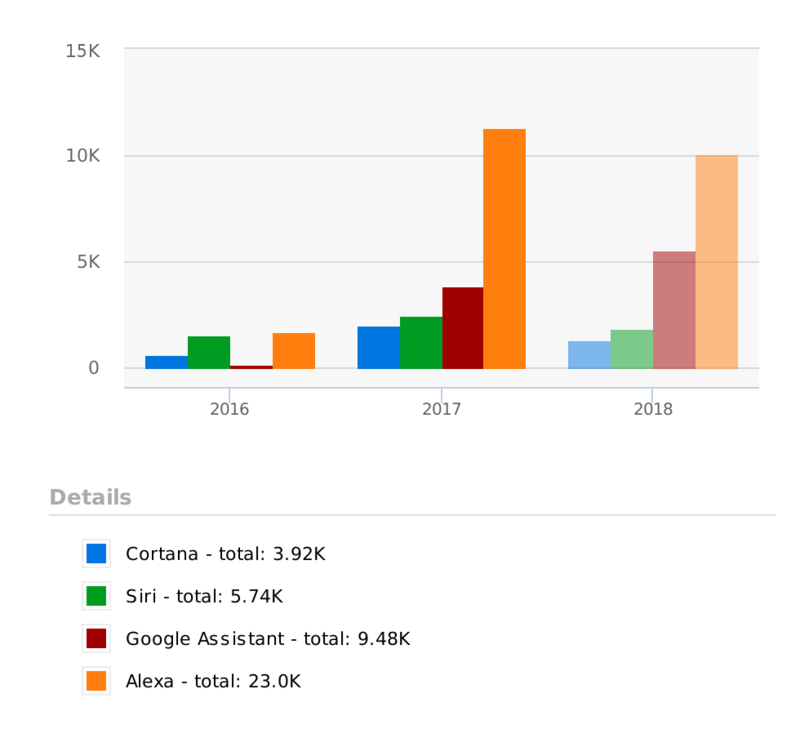 Amazon’s Alexa continues to remain on top with Google Assistant at a close second. Perhaps it is time to bid adieu to Cortana and Siri. 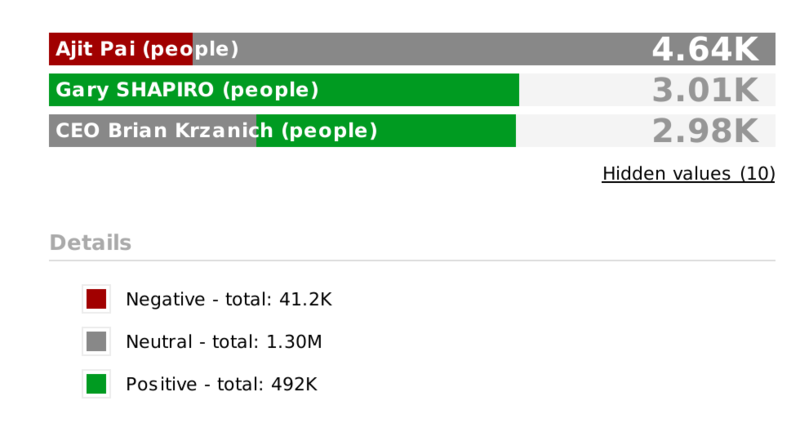 Aggregate & Analyze content and data--from across the social web or within your organization. Automate your enterprise-wide workflow to get more done in less time. Tailored reports and instant alerts deliver real-time intelligence for better business outcomes. You can also program the dashboard to act automatically for you, in response to certain events and data triggers. Netvibes deliver the insights you need, at the right time, to drive your business success.